The warm weather and beautiful desert landscapes surrounding the Arizona towns of Mesa and Chandler continue to leave visitors in awe every year. Whether you're traveling to Arizona to partake in the fun of baseball spring training or you're looking for an outdoors adventure vacation, Mesa and Chandler are great destinations for your next trip. When you start planning your trip to Arizona, let Vacatia help simplify your planning process by providing you with a terrific selection of resorts in Mesa-Chandler. Vacatia can help you narrow down a large selection of resorts and vacation rentals so that you find the perfect accommodations for your trip. Whether you are traveling with your family or with your significant other, Vacatia will tailor the search results to your needs so that your vacation rental exceeds your expectations. 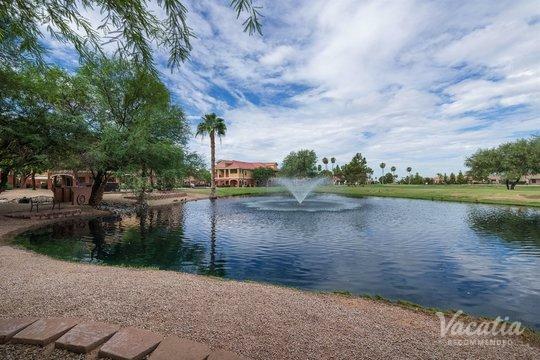 Once you have your ideal home away from home in Mesa-Chandler, you can focus on enjoying all that Arizona has to offer. Mesa and Chandler are two popular destinations in Arizona, and they provide terrific home bases for exploring this beautiful state. During your time in Mesa and Chandler, you can go see your favorite baseball team at spring training, hit the trails at one of the area's many great hiking spots, or even spend your days lazing down the river. There's plenty to do and see in Mesa and Chandler, and Vacatia can help you make the most of your Arizona getaway by providing you with a fantastic vacation rental. Vacatia can help you sort through the selection of Mesa-Chandler resorts until you find a vacation rental that ticks all of your boxes. 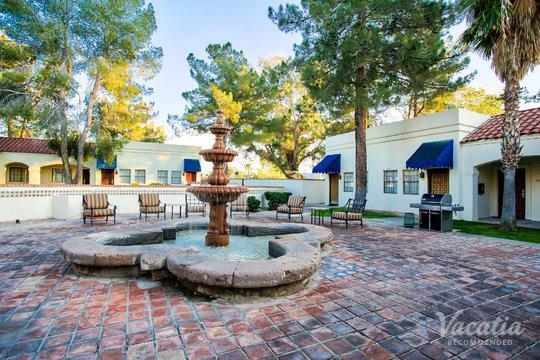 Unlike one of the many hotels in Mesa-Chandler, a Vacatia vacation rental provides the space and comforts of a home as well as the services of a resort. This means that you'll be able to make use of your own personal kitchen and added living spaces while also enjoying the desirable services and amenities of a quality resort. You can have the best of both worlds during your stay in Arizona when you book your accommodations through Vacatia. Situated in the beautiful, desert state of Arizona, Mesa and Chandler are popular destinations for visitors year-round, but particularly during the cooler months. When it's snowing and icy in other parts of the country, Mesa and Chandler are dry, warm, and sunny. Both Mesa and Chandler are in close proximity to Phoenix, and these areas are home to a number of great museums, terrific dining and shopping, and action-packed outdoor activities. There are several natural parks around Mesa and Chandler, and you can spend your days hiking, riding horses, biking, and even kayaking on the Salt River. Whether you want to spend your time in Arizona golfing, indulging in spa treatments, or catching a baseball game, you should work with Vacatia to find your perfect vacation rental in one of these Arizona hotspots. Vacatia can help greatly enhance the quality of your time in either Mesa or Chandler, making for one vacation you'll never forget.